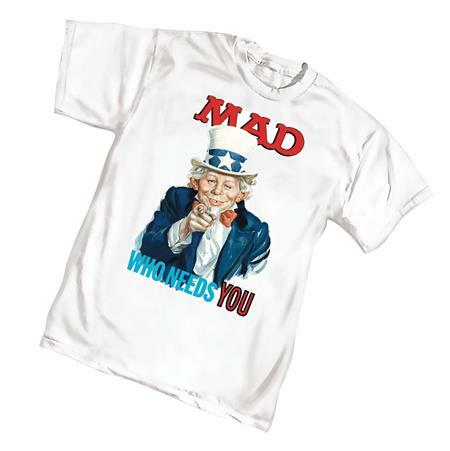 Alfred E. Neuman shows us political ambitions on the new Mad: Who Needs You T-Shirt. Features Uncle Al screenprinted in full-color on a white, heavyweight 100% tee. Cast your vote today for a man with few needs. NOW AVAILABLE for sale in Canada and U.K.